When you love someone, you don’t nit-pick. You accept them with their flaws and positive traits. Well, just go ahead and let the special someone know subtly that you love and admire him/her. Tell them that you accept them as they are. Drop the hint that you are attracted to him/her by saying that you feel great when he/she is around. If they are quick, they’ll catch your hint! Love starts on the note of friendship. And when you admit that you love to share things and feelings with him/her, the special someone will understand that friendship has taken the step level. By saying that you are letting them into your heart. And she/he will know your feelings. Additionally, they will be at the same wavelength and that makes for the perfect couple. If you admire someone, they become your ideal, an inspiration. 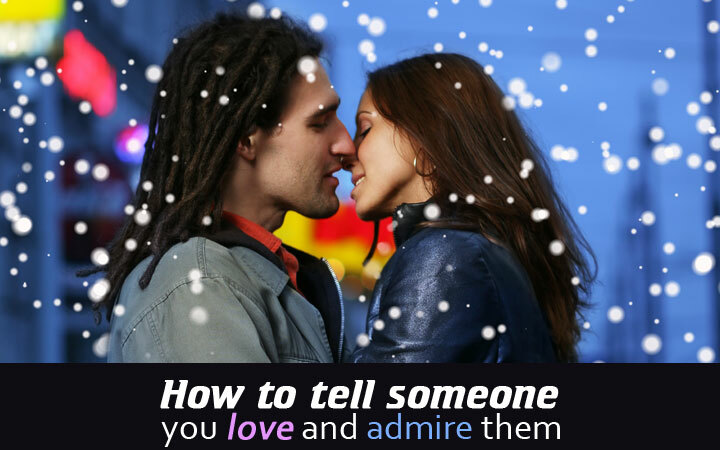 It is best to let him/her know how much you admire them. When love is true and strong, it becomes your strength. When you tell your special someone that being with him/her gives you confidence, he/she will realize the depth of your love and admiration. This is the cute quote that can bring a smile to his/her face. By saying that seeing him/her makes you happy, you admit that your happiness lies with them.